Pediatric Therapy Services, LLC Makes the Top INC 5000 List of Fastest Growing Companies! BOULDER, Colo., Sept. 20, 2016 /PRNewswire-iReach/ — Inc. magazine recently ranked PEDIATRIC THERAPY SERVICES, LLC NO. 4362 on its 35th annual Inc. 5000, the most prestigious ranking of the nation’s fastest-growing private companies. The list represents a unique look at the most successful companies within the American economy’s most dynamic segment— its independent small businesses. Companies such as Microsoft, Dell, Domino’s Pizza, Pandora, Timberland, LinkedIn, Yelp, Zillow, and many other well-known names gained their first national exposure as honorees of the Inc. 5000. 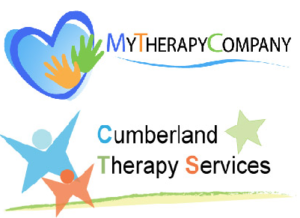 Pediatric Therapy Services, LLC includes MyTherapyCompany (MTC), Cumberland Therapy Services (CTS) and AlphaVista Services (AV). We partner with a variety of schools to better serve students with disabilities each year. Through our partnerships we employ over 500 therapists providing services to more than 200 clients in 20 states throughout the US. We are a leading employer of speech language pathologists, occupational therapists, school psychologists and special education teachers. Our combined experience in special education and school therapy services make us a top five national provider of school-based therapy services. We are one of the largest Non-Public Agencies (“NPAs”) in the state of California.